There's a big trend in emotion sensing wearables and then there's the growing number of wearables trying to help monitor your vital signs with very specific focuses. Company Awake Labs is in between the two areas with its Reveal Band which keeps track of stress and anxiety for people with autism. The nuances of autism make it difficult for parents and caregivers to figure out what will trigger an emotional meltdown. Cue the impending arrival of Reveal Band. With the wearable, autism can be better managed, hopefully alleviating stress for people with autism and their caregivers. CEO and mechatronics engineer Andrea Palmer told us the inception of Reveal began with looking into stress in the workplace and was a college project at the University of British Columbia in January 2015. However it evolved into something different as the budding startup wanted to have a bigger positive social impact. "We started looking at stress and anxiety in jobs for productivity and how better to understand that, then we started talking to people in the autism community. Caregivers, autistic adults, parents, they all were responding and saying this could be life changing. "If we could better understand anxiety, it'd be an improvement for behavior meltdowns for the kids and the stress of the caregiver as well. It's really why we kept going and why it's so interesting." The core user base will start with kids and their parents plus behaviour consultants meaning Reveal is being designed for tinier wrists. Over time, the team plans on expanding the band for teenagers and adults. While a lot thought goes into designing wearables already, the care taken to create Reveal Band is even greater. Each person's Autistic Spectrum Disorder (ASD) is different so the design team has been testing different leathers, more natural materials, soft plastics, harder plastics, neoprene and so on to figure out what is the most comfortable for sensitive arms. Reveal is also durable, being both shockproof and waterproof so kids can wear it all the time without parents worrying about it breaking. Then there's the algorithms. Reveal will identify physiological patterns that relate to anxiety to give you more insight into what is happening internally. Based on sensors inside the device, Reveal will track the three main indicators of anxiety: heart rate, sweat and skin temperature. Right now, information has to be manually entered but in time, the software will do the heavy lifting. Palmer says Awake Labs has been working closely on trials with families to figure out the best design - in addition to collecting data sets on the software side. "Right now there's a trial with families in Vancouver. They're not only helping us with the design but collecting information. We're looking at trends over time and parents right now have to interact with it to give that contextual data. "Then eventually we're going to get into the predictive side of it where it will say, 'Hey something's definitely happening here, you should intervene and work through the calm down routine with your child." Battery life is also meant to last much longer than a normal smartwatch or fitness tracker. Palmer says currently, the minimum is one school day or eight hours. The first version of Reveal will likely have a much longer battery life though, as she notes the team is "doing more battery optimizations." There's quite a long way to go before a prototype is released. Trials are still being conducted to test the band and so far, it's received great feedback from families and behavior consultants. Palmer says the algorithm is still being tweaked as well. "Right now it's on alpha. We're working on a licensing agreement for hardware from an organization. Once we figure that out, we can start getting the prototypes in and we can actually then work with more families. "For now, we're using off the shelf wearables to measure the anxiety, measure the data, start training the algorithm then soon we'll have our own hardware and our own band we can give to families for longer bits of time." The Indiegogo campaign is only 35% shy of its goal as of this writing and pushing through for a May 2017 release of version 1.0 of Reveal Band. 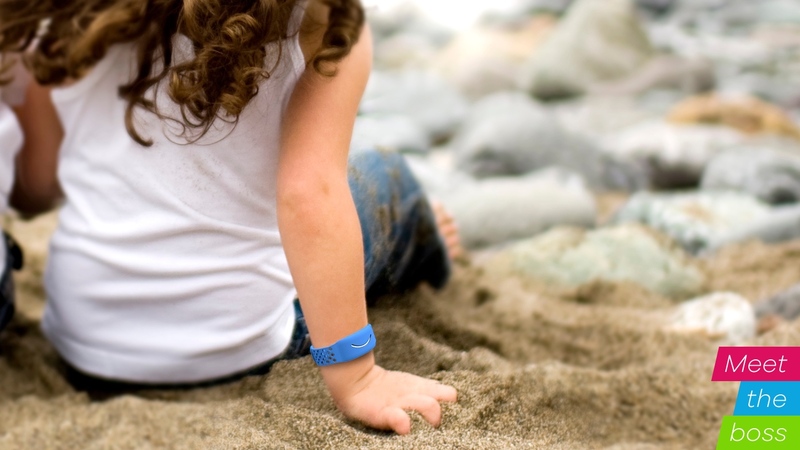 Hopefully when it releases in full, Reveal Band will be able to give parents better insight and help their kids' go through each day with less stress - which is all Palmer and the Awake Labs team wants to achieve.